RopeInSales is a malicious browser extension classified as a potentially unwanted program (PUP) and is mostly bundled with free software. 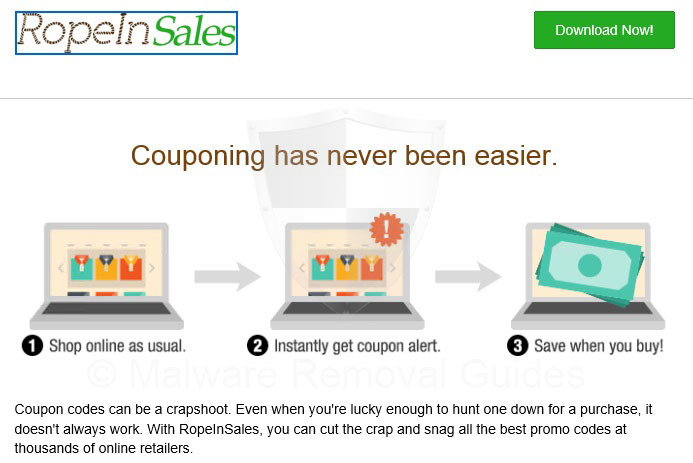 The RopeInSales adware is mainly made to make revenue by displaying “Ads by RopeInSales”, discount coupons, deals and various online savings ads on shopping websites like Amazon, Ebay, Bestbuy ans similar websites and online webshops. Furthermore, adware like RopeInSales is generally installed with or without your permission and knowledge. 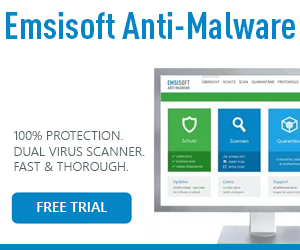 When this adware is installed on your computer, you do not immediately have to worry, because it is not a virus or other malware. But it is only a adware related program classified as PUP.Optional.RopeInSales.A because it has a bad reputation or behavior. When the RopeInSales adware is installed on your computer it installs a plug-in, add-on (browser extension) in Firefox and Google Chrome and a “Browser Helper Object” (BHO) in Internet Explorer. Such browser related adware can cause many problems like, browser crashes, slow loading websites but also many problems with annoying ads, pop-ups en malicious advertisements. Furthermore, adware such RopeInSales can put your privacy at risk. 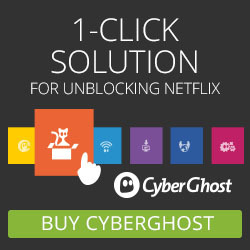 When the RopeInSales adware is installed on your computer without your knowledge, it is not easy to remove. 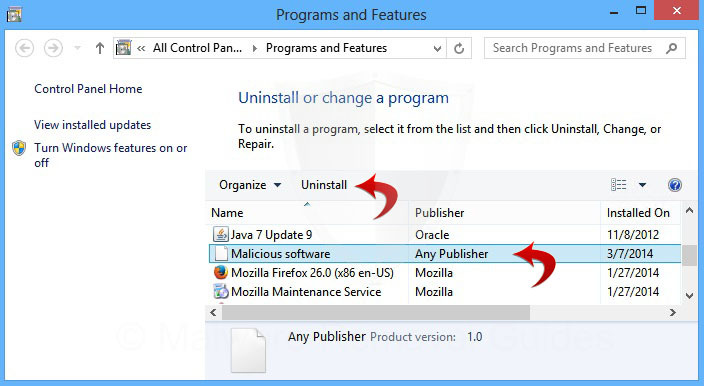 Usually, there is a Uninstall Program entry that uninstalls RopeInSales from your computer, but mostly there are still many remnants behind of the adware that causes problems. In this case, you need to use the specialized tools found in this removal guide to cleanup your computer. 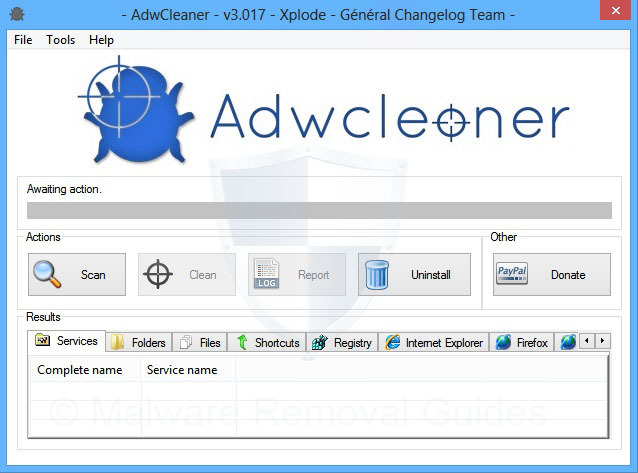 To remove this adware from your computer and cleanup the installed browsers, please use the RopeInSales removal guide below. This RopeInSales adware removal guide provides guidance on how to remove adware and Potentially Unwanted Programs (PUP’s) from your computer. 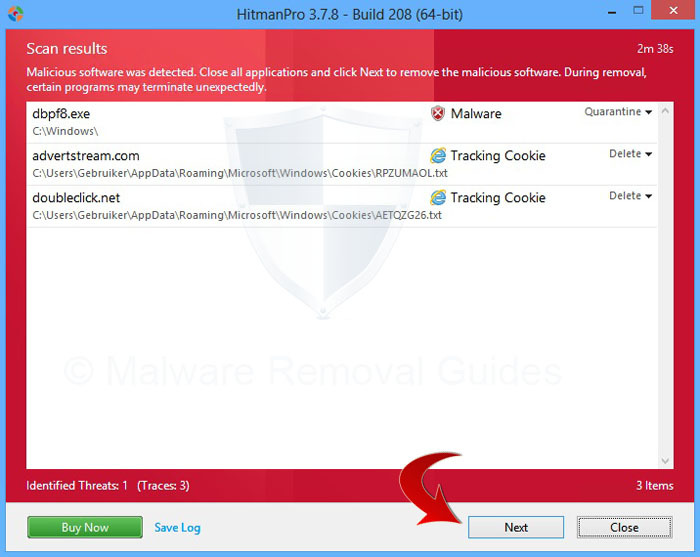 Potentially Unwanted Programs is a general name of any doubtful program, including browser hijackers, malicious browser extensions, spyware, that tries to damage a computer, steal personal data, or perform other such malicious behaviour. Search for the name of the ‘RopeInSales’ and click on Uninstall/Change.